Welcome to the Lincoln Center! 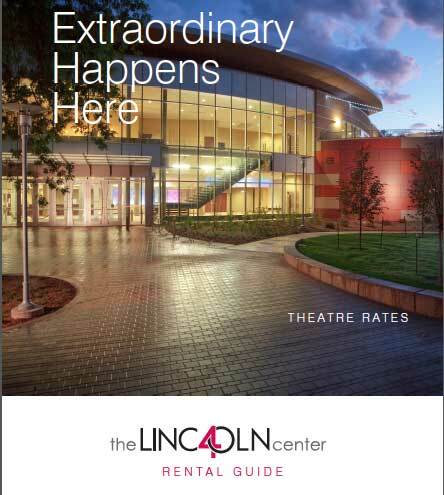 We’re delighted you are considering the Lincoln Center for your event. Let the culture and community that surrounds the Lincoln Center help you create memories that will last a lifetime. As one of Northern Colorado’s premier venues for performances, corporate events, special events, and weddings, our 40-year history speaks for itself. Experienced event planners, affordable rates, and a convenient location — Lincoln Center is a unique blend of elegance, functionality and exceptional service all in the heart of beautiful Fort Collins. No matter what your needs are, we will help you create a special event which is truly extraordinary! The Lincoln Center works with many caterers and vendors in Northern Colorado. All businesses listed on our website have been approved and are cleared to service events hosted at the venue.